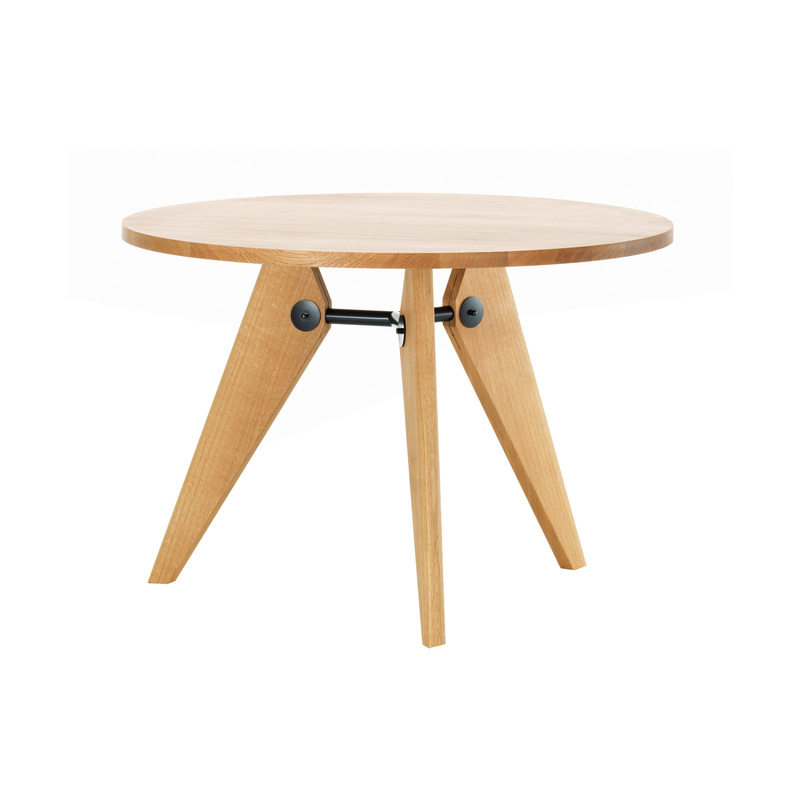 The wooden table Guéridon is a convincing demonstration of clear structural principles. 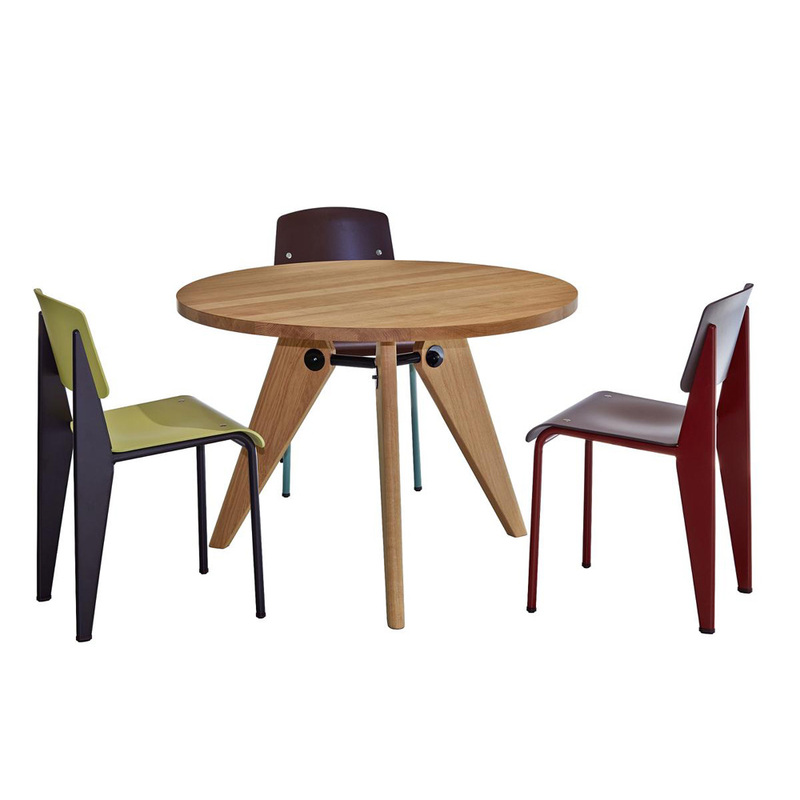 It is a variation of Prouvé’s architecturally informed design vocabulary in a natural material, proving that modern tables do not have to be made out of steel and glass. tubular steel strut, deep black powder-coated (smooth).